Bangkok -- The population of critically endangered Mekong River Dolphins -- also known as Irrawaddy Dolphins -- in the Cheuteal trans-boundary pool between southern Laos and northern Cambodia has shrunk by 50 per cent this year alone and the population is functionally extinct in Laos, according to WWF. WWF survey teams from Laos and Cambodia conducted a dolphin abundance survey and confirmed the current number and breeding status of the dolphins in the transboundary pool. Down to just three individuals – from six just earlier this year – there is now little hope for a reversal of the situation, as the small population is no longer viable. “Functional extinction” results when there are too few potential breeding pairs available to ensure the survival of the population. The use of gill nets -- especially unmanned gill nets -- is thought to be one of the main reasons for the demise of the dolphins. Gill nets are vertical panels of netting set in a straight line across a river to catch fish. Being large aquatic mammals, Mekong River dolphins – as well as other endangered aquatic species-- are often caught in gill nets, and drown as a consequence. The use of gill nets in the Mekong River is prohibited in Cambodia – where there are an estimated 80 dolphins – but not in Laos. Only the actual deep pool off Hangsadam Village, where the dolphins are, is protected. Gill nets are, however, used directly outside of the pool where the dolphins often swim and risk being trapped. WWF calls for an immediate ban on all gill nets for a two kilometers radius around the Cheuteal Pool and increased enforcement against violators. The size of banned nets would increaase to 4 km during the rainy season. WWF also calls for increased enforcement of gillnet bans in other Mekong River dolphin pools to protect the remaining dolphin populations. 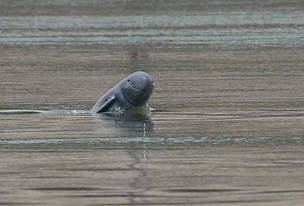 “The alarming decline of Mekong Irrawaddy dolphins in Laos that we have witnessed this year is tragic. At this stage, we fear that in a year or two, there may be no more dolphins in Laos,” said Teak Seng, WWF Conservation Director for the Greater Mekong. “The loss of this iconic species for Laos is even more tragic given that it was entirely preventable through strict enforcement against gill net fishing,” Seng added. 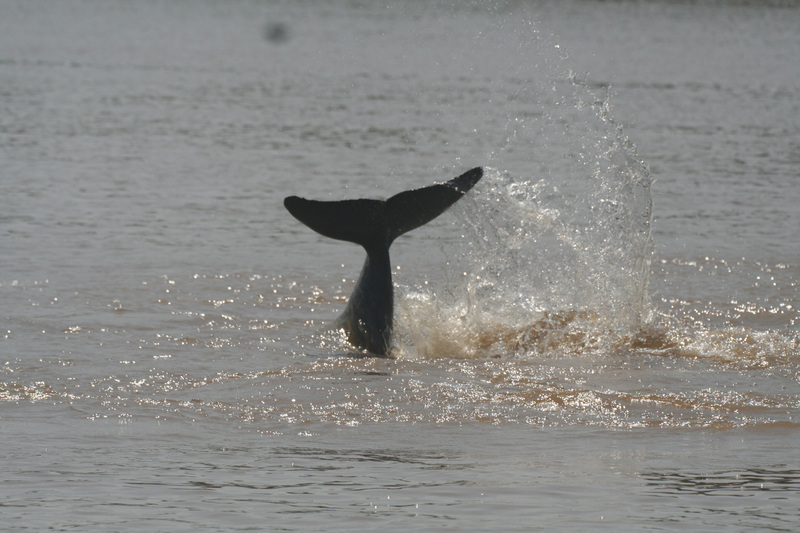 The Irrawaddy dolphins in the Mekong River have long been a favorite attraction among travelers and tourists in southern Laos. Their feared disappearance from Lao waters may cause a hard blow to eco-tourism in the area. Irrawaddy dolphins can be found in some coastal areas in Asia but there are only three freshwater subpopulations, in the Ayeyarwady River in Myanmar, the Mahakam River in Indonesia, and the Mekong River in Cambodia and the Lao PDR. Irrawaddy dolphins at Koh Kon in the Mekong River. 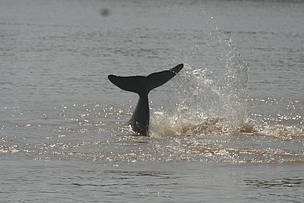 Photographed during dolphin population research conducted by WWF Cambodia's Mekong Dolphin Conservation Project in November 2007. 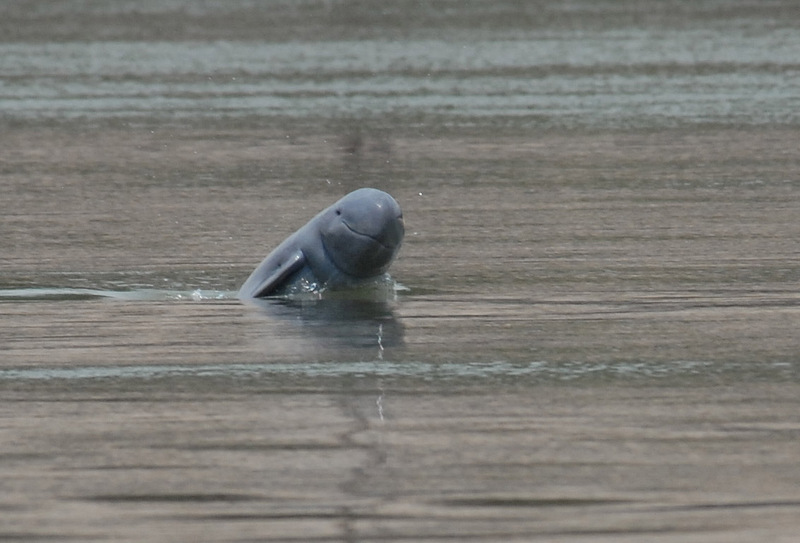 Irrawaddy dolphins (Orcaella Brevirostris) at Koh Kon Sat, Mekong River, Cambodia. The dolphins were photographed during the dolphin population research conducted by WWF Cambodia's Mekong Dolphin Conservation Project in November 2007.